Girls Scout Cookie season is here!! You know you are just as excited as I am. And I know you have already figured out in your head what you will order, didn’t you? 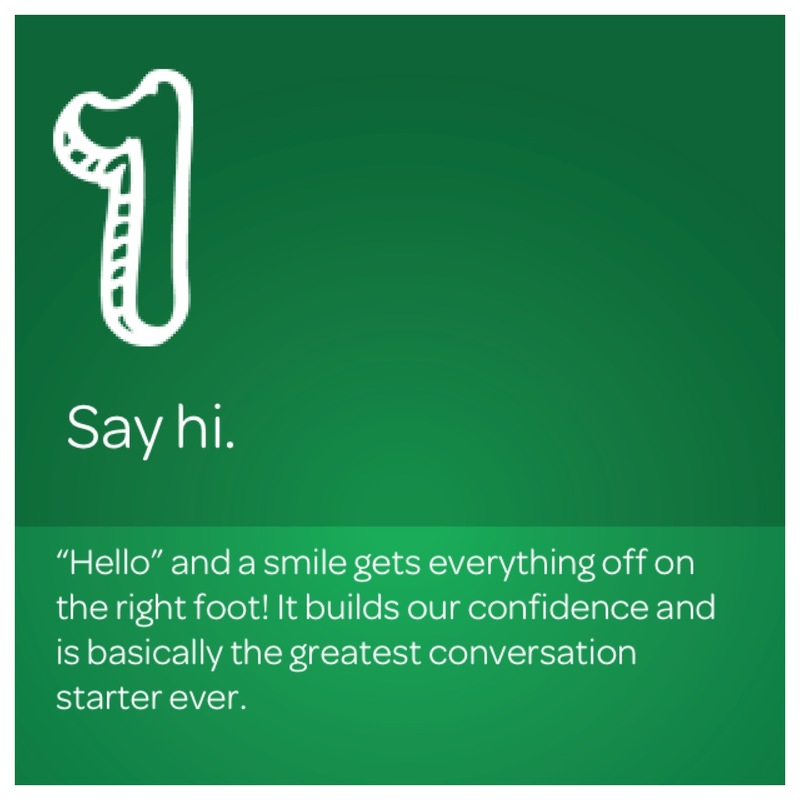 As soon as I said it’s Girl Scout cookie time you began tallying boxes and flavors in your head. Tagalongs because peanut butter and chocolate are two of my favorite things. Put them together and it’s basically perfection. Samoas for the cookie itself AND because they remind me of my grandfather. He loved them as much as I do, and he is the person who got me hooked as a young child, so young I wasn’t sure yet if I liked coconut. We would always share Samoas, and he’d sneak me an extra cookie when my mother wasn’t looking. Gramps was a foodie too. Every year the question pops up – Who will I buy my cookies from? A few of my friends’ daughters are scouts so I like to support them, but I also like to support local troops. The troops in my town are usually stationed outside the grocery store and the Starbucks in the center of town, and I always buy a box (who am I kidding, I buy a few boxes) when I notice they have their table set up. 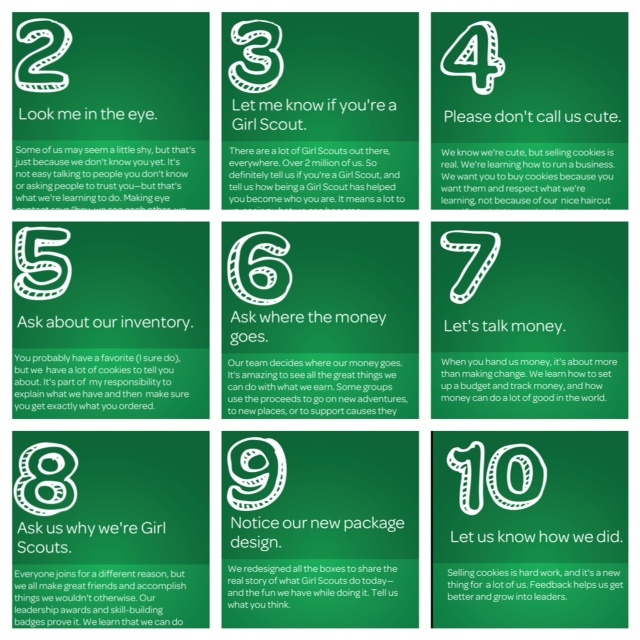 But did you know there’s another way to locate where you can purchase Girl Scout cookies? 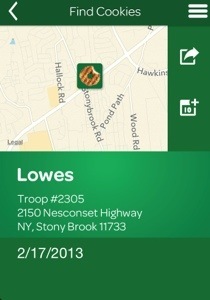 There’s an app that FINDS the Girl Scout Cookies and tells you where to purchase them! Ok, so I know there was an app out the last year or two and it wasn’t so great. BUT this Girl Scout Cookie Finder App available on itunes now has been created by Girl Scouts of the USA whereas the other app was not. Why do I like this app so much? A few reasons. 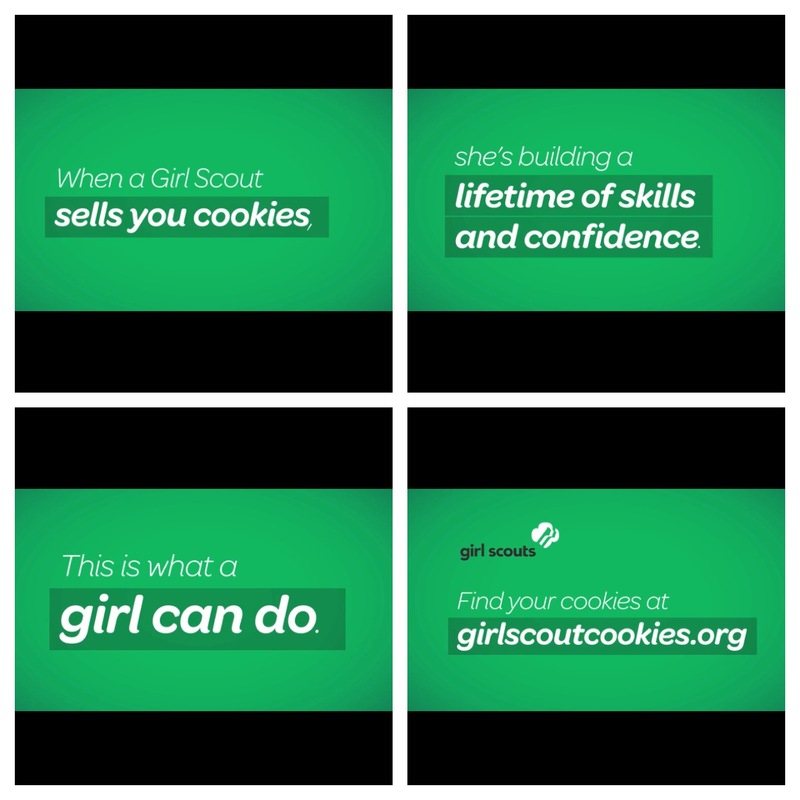 First, when you open the GS App you go through several screens which talk about how when you buy cookies you support skill building for girls. Second, you’re given three options: how to buy the cookies, background info on the cookies, and where to immediately find the cookies. 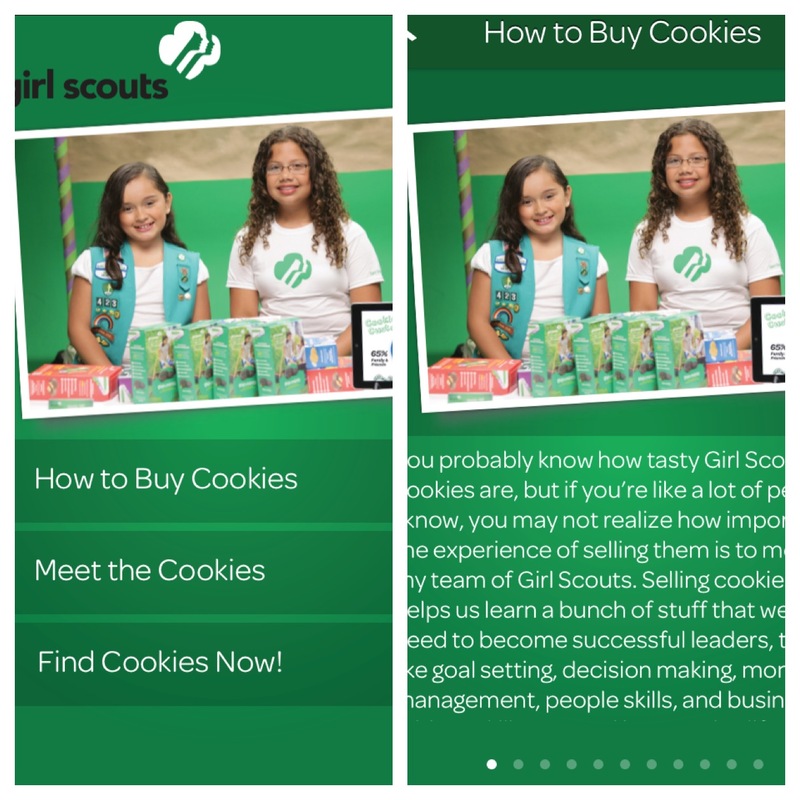 We all know HOW to buy cookies, but this app talks about the goals of the organization and how important it is to chat with the girls because they are learning how to create business plans when selling cookies. When you open the “Find Cookies Now!” option, the app pulls up a list of local locations where cookies are being sold. Once you pick the location you’d like details for the screen opens up a map with a cookie icon, the address of the location, and the date cookies will be sold there. As I tried out the app today I noticed that the only locations listed near me were in Long Island, NY. I suspect the record snowfall from this blizzard is responsible for this. But I will be checking back regularly to find where and when cookies will be sold near me in Connecticut. The app also gives you the option to select your search radius from a range of 1 to 500 miles! Let the cookie search begin!